At any given point, the national capital has about 5.57 lakh tons of municipal solid waste illegally dumped on the roadside or in open plots. This is 62 times higher than the daily municipal solid waste generated in the city, according to a new study. The estimate has been arrived at by using a new method that deploys 3D sensor scanning technology to quantify the mass of illegally dumped municipal solid waste, combined with ‘urban transect’ sampling technique. The method can not only help estimate the volume of waste piles but also the type of waste dumped – debris, plastic, biodegradable and so on. 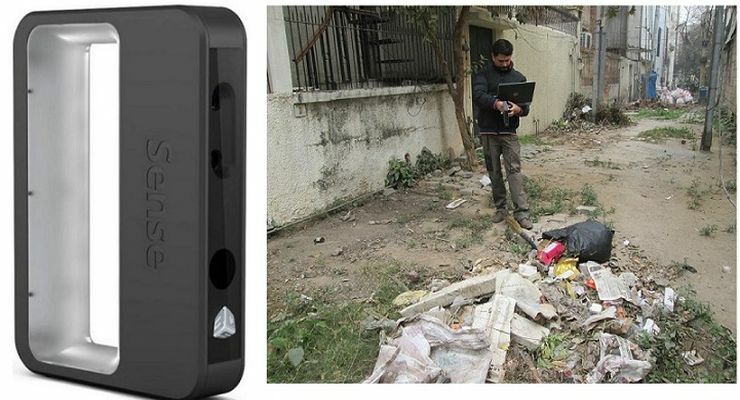 For scanning of waste dumped on roadside, researchers used USB-powered handheld scanner based on very short-range scanning technology. Using high definition colour cameras and a highly sensitive infrared projector, this technology allows scanning any objects with precise volume measurement. The scanners were taken around street-by-street in four localities representing different socio-economic strata – Jangpura extension, Brijpuri, Bhogal and Safdarjung Enclave. The data was then extrapolated for the whole city. The commercially available scanners are normally used for creating images for 3D printers so that those objects can be printed. “Since we were using these scanners for the first time for measuring municipal solid waste, we validated the 3D sensors before deploying into the field. Objects having different regular and irregular shapes with a known volume were scanned by 3D sensor and compared with real volume of the object. The difference found was less than 1%,” explained Dr. Ajay Singh Nagpure from the University of Minnesota, who conducted the study in Delhi. The results of the study have been published in journal Resources, Conservation & Recycling. The study estimated the amount of illegally dumped municipal solid waste on the roadside or in open plots in four neighborhoods with different economic status for estimating annual municipal waste collection efficiency. As per official estimates, the annual average waste collection efficiency in the city is 83 percent, meaning this much municipal solid waste is collected and transported to landfill. But the study has found that the collection efficiency differs from locality to locality and is linked with the economic status. It is 67% in poor localities, while it is up to 99 percent in higher income areas. The difference is due to better waste management infrastructure including door-to-door waste collection, waste collection centers and municipal street sweepers in higher income colonies. On the other hand, poor localities only depend on municipal street sweepers and trucks for collecting the waste and, there is no door-to-door waste collection. The composition of illegally dumped of municipal solid waste also differs significantly across all wealthy and poor neighborhood. High quantity of inert material – construction material and debris – were found in higher income localities while more food material and plastic was observed in a poor areas. Any waste that was dumped in open areas and plots other than the community dump or dhalao was considered illegal in the study. “It is true that illegally dumped waste also makes its way to the landfill, wherever there is public outcry. 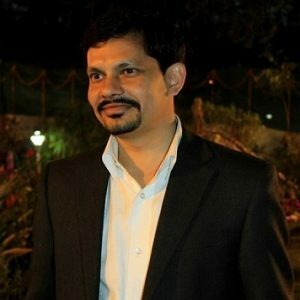 In the study, the estimated illegally accumulated dumped waste includes both time-to-time removal (to the landfill) and dumping of waste,” Dr Nagpure explained while speaking to India Science Wire. The municipal solid waste collection efficiency in most Indian cities ranges from 50 to 90 percent of per day generated MSW. The remaining waste is left uncollected every day, resulting in accumulation of a large quantity of waste on roadside and open plots in cities. Dr Nagpure said the new method is cost-effective and could readily be used by municipal bodies across the country to estimate the waste collection efficiency at neighborhood level, which, in turn, could help in designing appropriate policies. Till now there was no field method available to estimate municipal solid waste collection efficiency at the neighborhood level. The study was supported by the U.S. National Science Foundation.